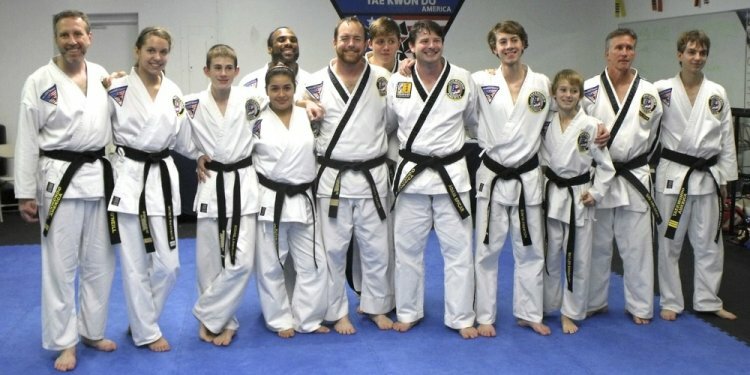 Marketing is one of the important keys to a successful Martial Arts school. Unfortunately, many school owners get overwhelmed and lost in all the options that are out there. Although I have a long list of marketing techniques, Facebook is my specialty and the one that yields the best results. The other vital part of our marketing plan includes running and attending community events. Your business page should have lots of details about your school, a great cover photo, hours of operation, lots of pictures and all the details you can offer. Create daily posts that provide value such as safety tips, homework tips and pictures of students in class. As soon as a potential student asks for information, they should be added to the group. In addition to the content and relationship-building strategies in that group, twice a month, ask members to share your Groupon or web special. Most communities now have business networking groups on Facebook. Joining these groups has high value as other small business owners are also looking for low-cost marketing tips. They also want to support others like themselves. Each group has its own rules such as posting once a day to once a week. You may share events, web deals and openings in your schedule. It’s also a great way to build rapport with other owners and see how you can help them. With the relationships I have built, the groups I am part of aggressively help promote events and specials I have. Most towns now also have their own Facebook group for those who live in the town. Most of them allow local business owners in also. Sharing valuable content inside of this group is perfect. (i.e. bully safety tips, fitness tips, safety tips) Twice a month, depending on the rules, invite community members to try classes or attend an event. Make sure though you “give” good content to those people inside the group weekly. People inside of this group are looking to buy something and are also looking for deals. Once a week, post your web special, Groupon, Living Social, Amazon Local deal, etc. We are in the relationship business and nothing sells your groups faster than face-to-face time. Fairs and vendor events are one of our BEST ways outside of Facebook to get to know people and introduce them to our programs. Being inside of a group like this simplifies your search for events to set up tables. Also, when you host events like open houses, you can invite people to set up tables with their products at your event for a fee. You should strive to have five opportunities each month to be out in the community with a table that represents your school and brand. When participating in events that specialize in kids, I like to have a prize wheel. Kids love the idea of spinning the wheel and winning prizes! Some of the prizes include: a break a board/free pizza party for the child and 10 of their friends, a free Nerf battle party for the child and 10 of their friends, and free classes. If the event is an adult-based event, we have information for our programs and put our energies into building rapport and getting to know people. This allows them to get to know us and see how much we care about people and their goals. Each month, you should have at least four parties. The goal would be first paid birthday parties. We also host the parties won from the prize wheel at the events prior, because the parties from the prize wheel tend to be “colder” leads. We set specific times and days for the parties and book up to 10 at a time. This will vary for your school and area. You can also do student of the month or free parties for the community. Last month I had openings at our new facility, so I posted into my business network groups that I had two openings and filled them with qualified non-students. Each month, we strive to either be in the schools, boy scouts, girl scouts, cub scouts, after school programs, etc. doing our school talks. Getting three of them booked is the goal. A women’s self-defense seminar taught at the local college is an example of an outside school event. We have a great partnership with the local “dance ranch”, a popular bar and dance club. Once a quarter, they have us come in and invite all of their patrons to a free self-defense seminar on a night they are usually closed. An in-house event could be an open house, a kids buddy day, an adult buddy day, a self-defense seminar, a buddy parents night out or a new member party. This type of event is something that allows current students to invite non-students. These eight key areas are things I make sure the teams in my school are doing every month to ensure the success of our schools and that new members are constantly coming in the door. Alexandria Buzzell has been involved in the Martial Arts since she was a teenager and it’s still her main passion. She opened her first school in 2008. Utilizing her creative marketing techniques and developing social media skills, she grew that location to 350+ members. Alexandria opened her second location in March 2014 and grew the school to 100 students in just 90 days. Alexandria is also a member of the Member Solutions Business Advisory Team. Event Manager online registration software enables you to take your registrations and payments online immediately – no merchant account needed!